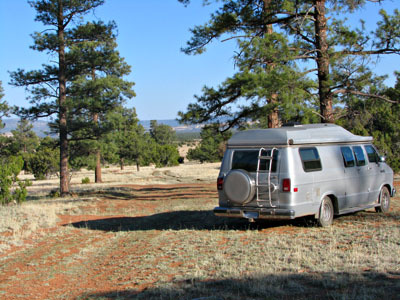 For a really unique experience, try boondocking in New Mexico. True to its nickname, New Mexico really is The Land Of Enchantment. 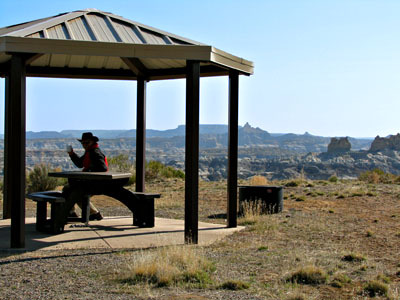 We were amazed at how many scenic free camping opportunities there are, many of them near this state's most popular tourist attractions. Of course the secret, as always, is finding them. And I've done that for you! 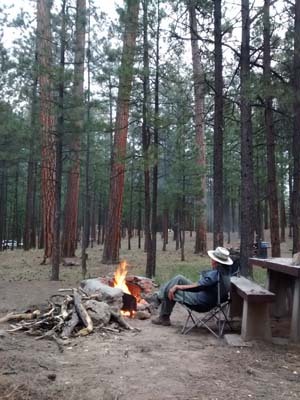 Here's a glimpse of just a few of our free New Mexico campsites. All are scenic, safe, legal, and free! 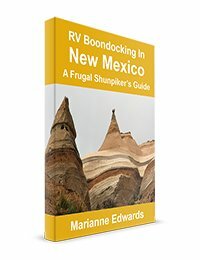 The Frugal Shunpiker's Guide "RV Boondocking In New Mexico" provides precise, easy-to-follow directions to 100 frugal (usually free) camping locations that we personally used near the most popular (and lesser-known but waiting for you to discover them) destinations in New Mexico. Through fifteen years of shunpiking (driving the back roads), we've discovered many scenic dry-camping options. Most are right on route to New Mexico's major attractions. This guide is not just for RVers. 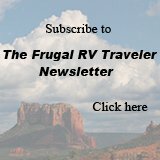 Almost all of the 100 suggested frugal and "camp-for-free" areas listed in this guide are suitable for tents as well as RVs. 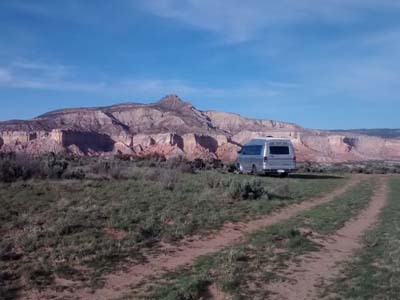 Footnotes for each camping entry will tell you whether a tent can be set up at each campsite as well as what size of RV can most easily access the sites. A route map provides a visual image of the suggested routes and where to camp for free along each route. A detailed one-month itinerary covers the most popular New Mexico destinations. Follow it, see all the major attractions, and spend less than $160.00 in camping fees for the entire month! Tips on what to see, where to camp, where to shop, where to find free water, free RV dump stations, propane, showers, wi-fi Internet, and more. Hiking suggestions: We love to hike so we've listed some of our favorite New Mexico hikes. 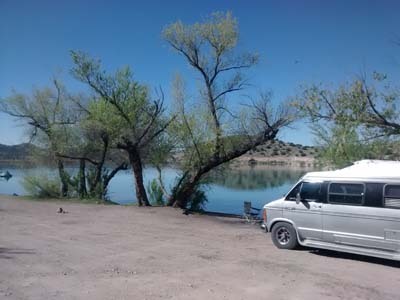 Your guides to Arizona and Texas saved us lots of money last year, (not to mention, opened our minds about camping without hook-ups ... that it's a great option to campgrounds). We've been recommending your guides to all our RVing friends. Keep up the good work!